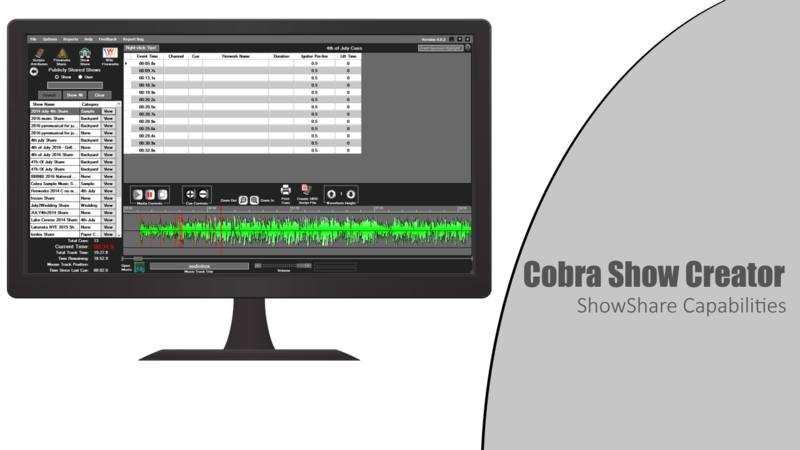 Perfect for small shows, COBRA Show Creator is a "lite" PC-based software program for creating and editing musical and non-musical scripts for your COBRA 18R2 scripted remote. Watch the Basics of Firework Scripting YouTube video for an introduction to scripting. After purchase, your activation code will be sent within 24 hours. This is not an automated process. If you need your code sooner than this, please reach out to us at ssmith@cobrafiringsystems.com. With the purchase of COBRA Show Creator, you receive a single, 2-year computer license to the software including unlimited email and phone support. COBRA Show Creator will run on lower spec’d PCs, but will auto disable features to allow program to function as intended. 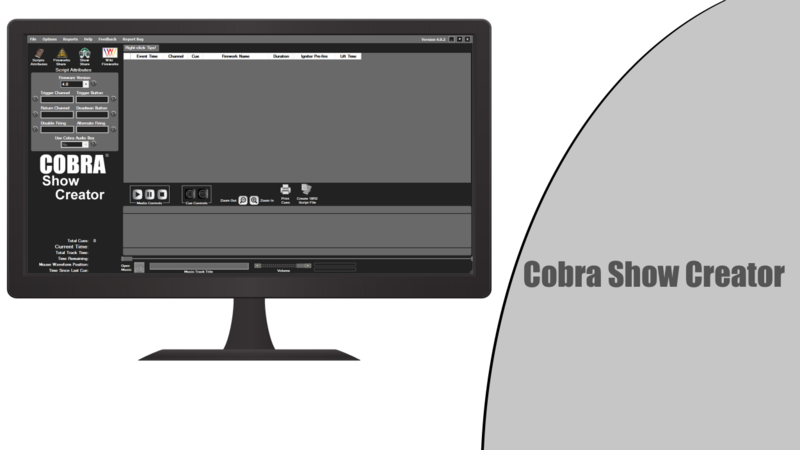 An instructional video demonstration on the basics of COBRA Show Creator scripting. Presented by Tim from Fireworks Show. 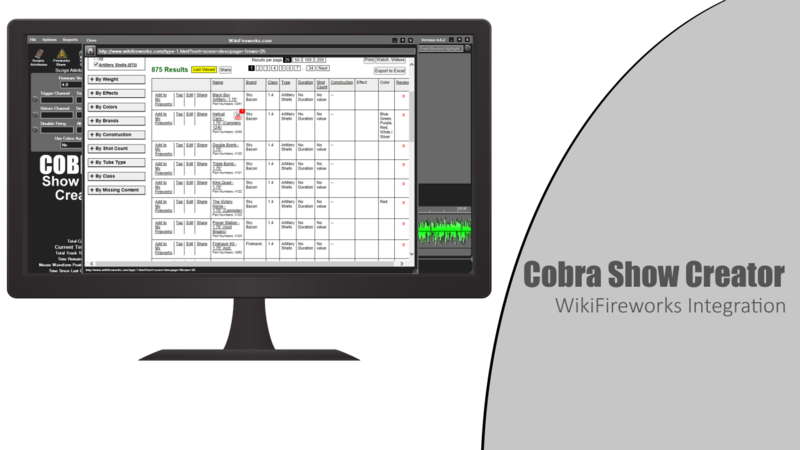 An instructional video demonstration on combined STEP / Timed event scripting using COBRA Show Creator. This feature is a hidden, yet powerful function of the software for creating manual and timed event shows. Presented by Tim from Fireworks Show. An instructional video demonstration on the basic of pyromusicals. Presented by Tim from Fireworks Show. A video demonstration on how to format your MP3 Audio File for the COBRA Audio Box. Presented by Tim from Fireworks Show.